Sorry for not posting lately... between the flu striking me down and a busy life, I haven't had much time for the blog lately. However, I came across this quote recently and really enjoyed it... it sounds like it came from some kind of "self-improvement book" or "guide to relationships," but it came from an entirely different sort of book. See if you can figure out where it came from. "Most of us have very few friends; we can count them on the fingers of one hand. We are surrounded by acquaintances, but intimate friends are few. A friendship that survives the years originates more than two people's quest for togetherness. It depends above all on their adjustment and acquiescence to each other's traits. Accepting friends is something like a 'package deal.' Some of their attributes are just what you want to see in someone, those very traits that make you want to be close to someone. Others you find downright unpleasant. With these, too, you must make your peace. You can't set out to change them. This is the only way to develop genuine companionship - a relationship put to the test in a moment of pain, of need for help, of yearning for an attentive ear or a shoulder to lean on." 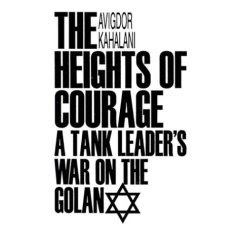 "A Warrior's Way - Israel's Most Decorated Tank Commander Relives His Greatest Battles"
Pgs. 199-200. 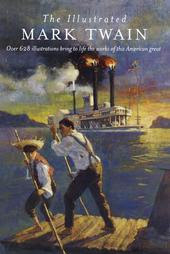 1994 SPI paperback edition. By: Brigadier General (ret.) 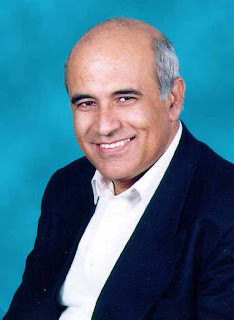 Avigdor Kahalani. It's hard to imagine that, in that quote, Kahalani is writing about the camaraderie between men-at-arms AKA soldiers. The quote could just as easily apply to male-female relationships or just about any other type of relationship. 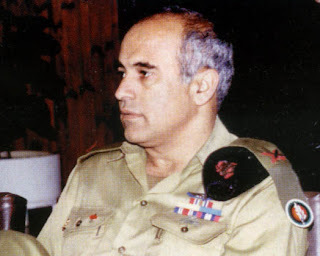 Just recently, I watched some specials about the 1973 Yom Kippur War on The Military Channel with an interview with Kahalani. Despite markedly non-native English, the man is a powerful speaker and it's easy to see how he motivated the men under his many commands. If you have any interest in the history of the Middle East, I highly recommend reading any of his novels. I've enjoyed every single one of Kahalani's books that I've read. I will comment that SPI paperbacks do tend to have a large number of typos though. I hope that everything is going well for everyone. I've been keeping busy with life and it's been making sure that things don't get too boring. 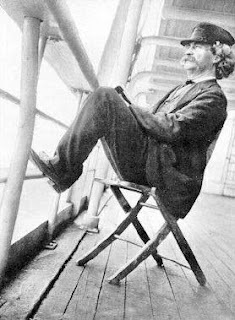 The other day ago, a friend and I were discussing parents, which brought to mind a quote from Mark Twain that my mother loves to recall... she even writes it into the syllabus for her college classes. At any rate, it's a gem and well worth sharing. Enjoy! - Attributed by Reader's Digest, Sept. 1937. 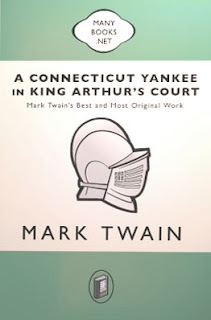 But my favorite Twain work beyond a doubt is "A Connecticut Yankee in King Arthur's Court." 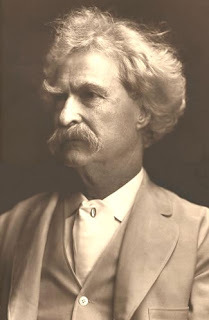 It has one of the earliest examples of the use of a time travel plot device in literature and the novel is full of entertaining comedy... one of Twain's great talents was a very witty intuitive sense of humor. I also highly recommend another writer from roughly the same period named Ambrose Bierce. If you've never checked out his "The Devil's Dictionary," you're missing out. 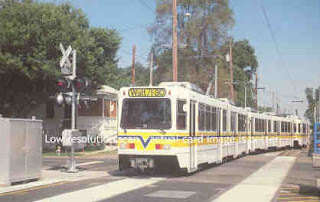 POSITIVE VIBES: Adventures In Light Rail #1: "The Metro, Katie & Me!" 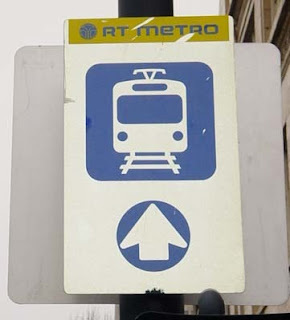 Everyday I ride the RT Metro commuter train back and forth to work... with the same crowd of folks. I tried just sitting there... but I got bored... and there were so many interesting people sitting around... just waiting to be chatted up. And I can read my book at home. I just wanted to drop you a note to say hello. I hope the new job is treating you well; the train just isn’t the same without the pizzazz of your personality. I miss you too, friend. Please send my best to the missus, Grandma d'Italia, and the Bambino. Andy's a really neat guy despite working for a government automobile bureaucracy... like me and my healthcare bureaucracy. One day he told me the most beautiful story about when he was a boy and he used to become the "hands" for his near-blind Italian grandmother and "cook" with her. I've never forgotten it. I’m reading a new book I thought you might enjoy…it’s called “Winkie” - very Kafka-esque story about a Teddy Bear tried for terrorism… I think you would enjoy it. RANDOM ACTS OF KINDNESS: Rental Cellos & Red Violins. My company recently finished a long and complex project in which we had partnered with a German company. This project required several engineers and specialists from the German company to spend extended periods of time here in Israel. On one such scheduled visit that was to last three weeks, one of the German engineers decided he wanted to bring his 13-year-old daughter along with him. It would be a mini-vacation for her, and he figured she would keep him company in this strange desert city of Beer Sheva. However, as this German engineer was preparing for the trip, a problem arose. It seems his daughter is an accomplished cellist and was scheduled to perform at a festival two weeks after they returned to Europe... so she would need to practice daily while she was in Israel. The problem was that her instrument was extremely valuable and their insurance company wouldn't cover it in a 'war zone'. The German engineer contacted my coworker and explained the situation... and asked if there was anywhere in Beer Sheva to rent a cello for three weeks. My coworker did some asking around and quickly discovered that finding a rental cello in Beer Sheva would be only slightly less likely than finding a lake... so he expanded his search. After umpteen phone calls to friends and associates he finally received a lead... the phone number of a place in Jerusalem that repairs violins. He called the repair shop and spoke with a pleasant individual who owned and managed the place. The problem was presented and the question asked: 'Did he have a cello that could be rented to the young visiting musician for three weeks?' Without missing a beat, the repair shop owner replied that it shouldn't be a problem, and gave directions to his shop. My coworker promptly relayed the news to Germany via email and the plans for the father-and-daughter trip went forward. The day the German engineer and his daughter arrived in Israel my coworker and his family hosted the two visitors at their home for dinner. Over the meal it was agreed that they would drive to the Jerusalem workshop the next day to pick up the rental cello. The hour-and-a-half drive to Israel's capitol went smoothly and by late morning they were all standing in the 'violin repair shop' chatting with the owner... a mid-thirty-ish Israeli with a ponytail. In truth the place was far more than a violin repair shop. It was a workshop filled with violins, violas, cellos and double basses. Repair was only a tiny portion of what went on in this shop as the owner was the third or fourth generation in his family who had been crafting and repairing classical string instruments by hand. Every wall, nook and cranny was filled with stringed instruments of every type and vintage...the smell of wood and lacquer were heavy in the air... wood shavings littered the floor... and several work tables were strewn with components of unfinished instruments. The owner of the shop brought my coworker and the two German guests tea and asked how he could be of assistance. My coworker reminded him of their phone conversation and all attention turned to the young woman in need of a practice cello. The owner sized her up with his eyes and grabbed a cello that had been standing in an open case near his workbench. "Try this one to see if it's a fit" he said in a mishmash of English and German, handing her the instrument. 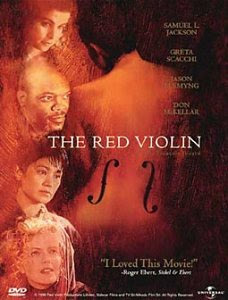 The young German girl sat down and began to expertly tune the cello and rosin the offered bow. After making a small adjustment to the height of the bottom peg she began to play one of the Bach Cello Suites. The instrument sang beautifully in her hands and the owner looked on appreciatively... clearly surprised at the young musician's skill. After a few minutes he stopped her and had her try two other cellos... one which was slightly larger and finally a third that seemed older than the first two. When she began to play the third cello the room was suddenly filled to overflowing with the sound coming from the instrument. The first two cellos had sounded nice to my coworker's untrained ears, but the third seemed to make everything in the room vibrate and resonate with each note played. "What kind of cello is this? I've never heard or felt music like this in all my years of playing!" The owner of the shop beamed with pride and replied that it was nearly 300 years old and was one of his favorites. In fact, it was normally kept locked away and the only reason it was out on the shop floor was that he liked to make sure all the instruments were inspected and played regularly. He explained that he had just finished making a small adjustment to the placement of the bridge under the strings and was preparing to put it away when they had arrived. In a very business-like manner the owner said with finality that this was the instrument she must use while she was visiting Israel. The father hesitated a bit and began to politely protest at the idea of taking responsibility for such an old and valuable instrument... and clearly he was worried about what kind of rental fee such an instrument would command. The owner waved off the objections and told him to take the instrument for his daughter. "After all", he reasoned, "she has a festival to perform in, so she needs to practice on an instrument worthy of her skills." All attempts by the German engineer to fix a price for the rental were waved off by the owner. The only thing he would say was "We can talk about money when you come back in three weeks". Happy Friday and a Good Shabbat to all who celebrate! 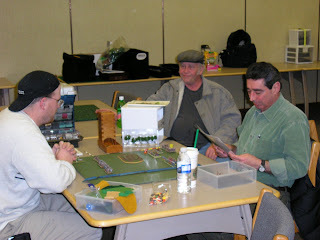 Here's a shot of Richard, Joe B., and Keith chatting over a 15mm DBA game. A weekend or two ago, the MWSS (Miniature Wargaming Society of Sacramento) gaming club got together and... (pregnant pause)... PLAYED GAMES! Richard and Maks (me!) 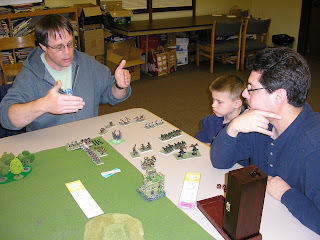 sizing up their other opponents during a game of Iliad. 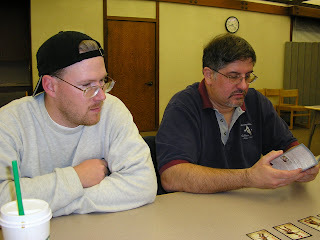 Keith and Mike O. socializing before a game of Iliad. And we got a goodly number of games in... although we probably could have gotten a few more in, but folks were having such a good a time socializing, taking meal breaks, taking smoke breaks for the smokers, and otherwise having a good time hanging out inbetween the main course of gaming that we probably didn't get in quite as many games as we could have. Keith playing the Norse Leitdang - WIN! Richard playing Early Imperial Romans - Lose. 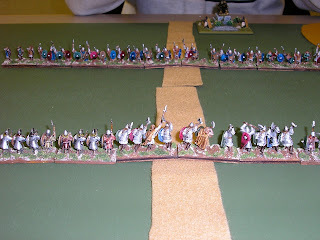 Richard's Roman's are under heavy pressure from Keith's Norse in this shot... shortly after, the Romans fell. Austin & Paul (father-son team) playing the Ostentatious Orkz - Lose. Joe Riddle playing the Douty Dwarves - WIN! 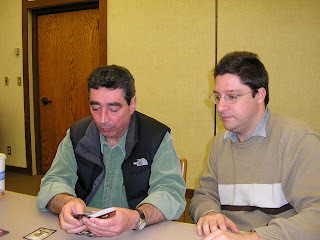 In this shot, the ever generous Joe Riddle explains the game of HOTT to Austin and Paul. Maksim-Smelchak playing the Anglo-Danes - Lose. 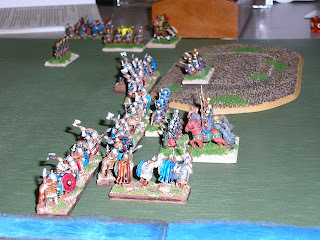 Maksim's Anglo-Dane spearwall looked very impressive until the scrum met and the swords and axes of Keith's Norse proved hungrier. Mike O. - 1rst - WIN! Mike O. proved to be the Master Conductor in this game. 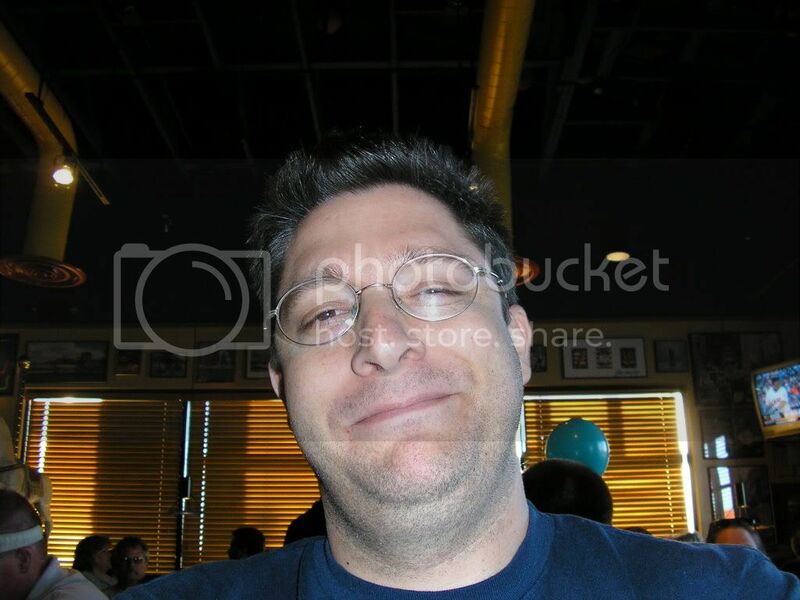 Mazel Tov, Mike! 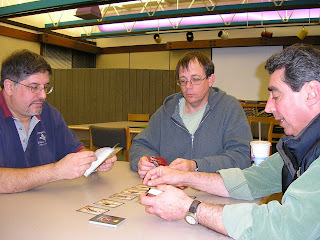 Mike O., Joe Riddle, and Richard are all photographed here plotting to bring their ancients tribe to victory in the card game, Iliad! 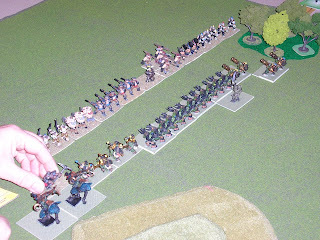 Mike O. bought a bushel of Mageknight figures after the game went into decline and rebased them for 28mm HOTT. He, like many other club members, is very generous in sharing his gaming items with newer folks who haven't invested in any games yet. It's a really snazzy army! The next meeting will be held on the 17th of February, 2007.